Exemption Under Section 301 | BDG International, Inc. 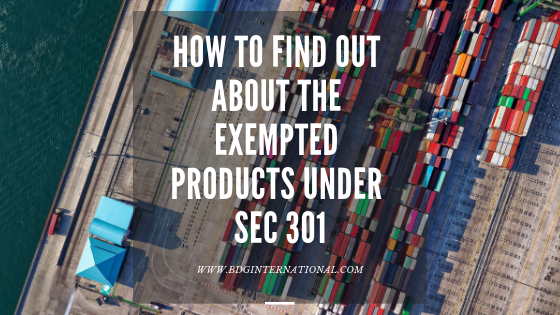 The USTR (United State Trade Representative) announced a list of exempted products from the section 301 China tariff, list no. 3. List 3 has 984 individual products exempted for the tariff. The list includes 21 separate HTS codes. This exemption list was published on March 17, 2019. How can you find out if your product is exempt? Method 1: Locate your HTS number and look for the small note next to the duty which will hyperlink you to a list of additional tariff numbers. Select the hyperlink then review the tariff number. The tariff number will not be defined on this page. To review the additional tariff number, go the Chapter which is represented on the first two digits of the HTS number normally starts with a 99. If it appears starting with 98, this may indicate the Miscellaneous tariff exemption. 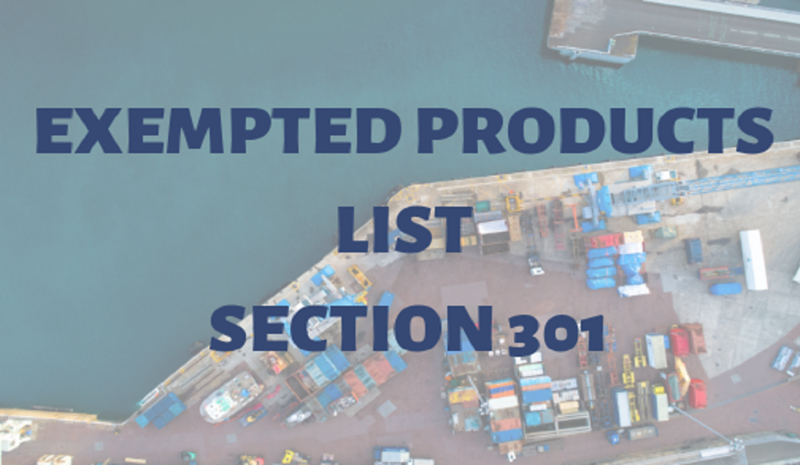 If there is an exemption to 301, the tariff number 9903.88.05 will be designated. As changes are made to the Section 301, new Ch 99 HTS numbers are designated. Heading 9903.88.01 applies to all products of China that are classified except products listed under 9903.88.05. After reading 20 (a) then go to 20 (h) for the list of exempt HTS 10 digit numbers. 4. The exemption is retroactive to July 6 2018. If your shipment has not liquidated, you may receive an automated liquidation with a refund. If your entries have liquidated, you may request an administrative refund through the Post Summary Correction process.